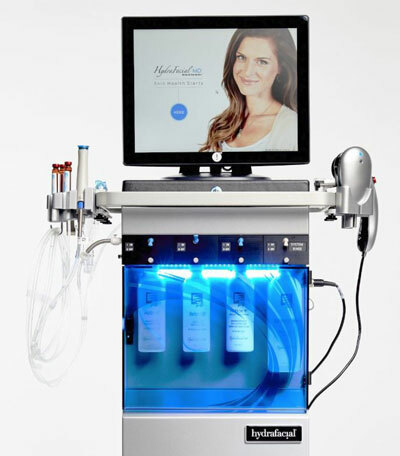 HydraFacial is a multi-step treatment that uses patented technology to cleanse, exfoliate, extract and treat the skin. During the treatment dead skin cells and impurities are removed and the skin is hydrated with antioxidants & peptides. Unlike other treatments, HydraFacial can be had as often as weekly or monthly to achieve a fast and long lasting result. 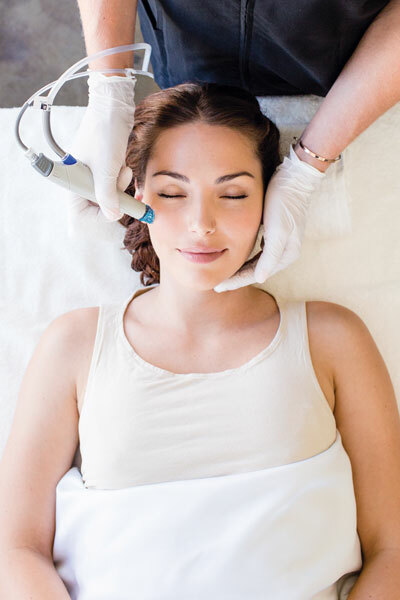 Whether you’re simply looking to maintain the healthy condition of your skin or are concerned about acne or pigmentation, HydraFacial can be catered to your needs. The Skin Health for Life treatment involves the six key stages: Detox, Cleansing & Exfoliating, Brightening, Extraction, Hydration and Rejuvenation. Exclusive to sk:n, the new ‘sk:n signature HydraFacial ’ is an intensive 30 minute treatment. Your skin will immediately appear brighter and clearer. The DermaBuilder HydraFacial helps tackle wrinkles without the use of injectables. 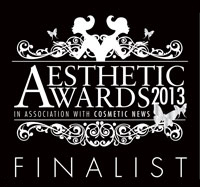 This treatment involves the same six stages as the Skin Health for Life but also includes an anti-ageing serum. If you’re suffering from acne, a HydraFacial, alongside your other treatments, can really help. We offer two types of HydraFacial procedures specifically for people with acne; Acne HydraFacial and Acne Pro HydraFacial. 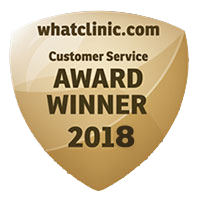 At Chilston our award winning fully qualified practitioners are always on hand should you need advice or guidance when choosing which treatment will work best for you. Our on-going support comes as part of our commitment to the highest standards of care to ensure you get the best long term results.